I'm linking up with Elm Street Quilts One Monthly Goal and sharing my goal for February. This month I hope to finish my Mandolin quilt. I started it very late 2017 and it was my major hand-sewing project for 2018. I managed to finish assembling the top on NYE. 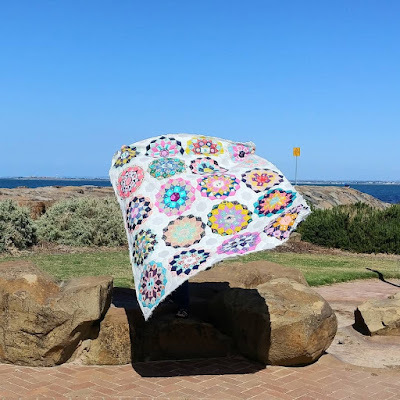 After a month of procrastibating (it's summer here in Australia and we've had a very hot January), I finally got the quilt top pressed and basted. I've started the quilting but it is going very slowly. I initially started with matchstick lines but found I was getting lots of puckering (probably due to the hundreds of bias seams), so I had to rip it out and start again. 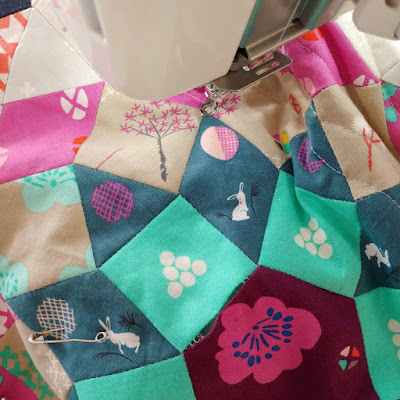 I'm having better luck with 'organic' free-motion lines but still keep running into trouble, such as rogue bits of paper, my gloves (I've quilted the tip of the finger to the quilt twice already), and holes in my piecing (like the big one below). 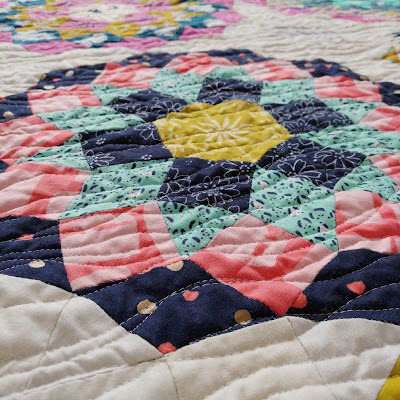 I've still got a heap of quilting to go, but I'm in love with the texture. 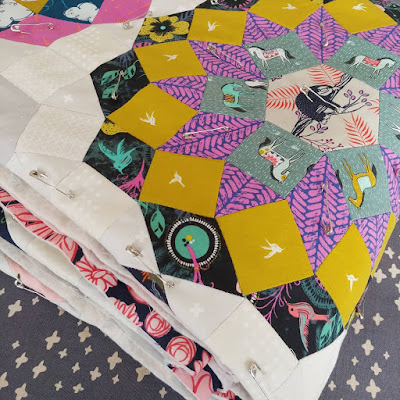 I'm hoping to have it finished and bound by the end of the month so I can start to use and enjoy my first ever hand pieced quilt. The quilt top is beautiful and I love the organic line quilting. Good luck with your OMG! Looking awesome! Thanks for linking up with Elm Street Quilts One Monthly Goal and good luck on your project. oh wow, that is just stunning! !